This article is about the Icelandic political party. For other uses, see Social Democratic Alliance (disambiguation). The Social Democratic Alliance (Icelandic: Samfylkingin-Jafnaðarmannaflokkur Íslands) is a social-democratic political party in Iceland. It is centre-left in alignment. It became the largest party in the Icelandic parliament after the 2009 Icelandic election, forming a coalition government along with the Left-Green Movement, until returning to opposition status after the 2013 Icelandic election. The Social Democratic Alliance was born in the run-up to the parliamentary elections of 1999 as an alliance of the four left-wing parties that had existed in Iceland up till then: the Social Democratic Party, the People’s Alliance, the Women’s List and National Awakening. The parties then formally merged in May 2000 under the name “The Alliance” (Samfylkingin). The merger was a deliberate attempt to unify the entire Icelandic centre-left into one political party capable of countering the centre-right Independence Party. The initial attempt failed however as a group of Alþingi representatives rejected the new party’s platform – which was inspired by that of Tony Blair’s New Labour – and broke away before the merger to found the Left-Green Movement, based on more traditional democratic socialist values as well as green politics and euroscepticism. The Icelandic Movement – Living Country merged into the party in March 2009. In February 2013 the official name of the party was changed to “The Alliance – Social Democratic Party of Iceland” (Samfylkingin – Jafnaðarmannaflokkur Íslands). The current chair of the party is Oddný Guðbjörg Harðardóttir, who was elected in June 2016 to succeed Árni Páll Árnason, the outgoing party leader. Logi Einarsson, current member of the local council of Akureyri, has been vice chair since the same date. The youth wing of the Social Democratic Alliance is Social Democratic Youth. Bright Future (Icelandic: Björt framtíð) is a liberal political party in Iceland. The party is a member of the Alliance of Liberals and Democrats for Europe(ALDE) party and has links to the ALDE Group in the European Parliament. The party was founded on 4 February 2012. Before the 2013 general election, it included two Members of Parliament, Guðmundur Steingrímsson(who defected from the Progressive Party) and Róbert Marshall (who defected from the Social Democratic Alliance). Guðmundur had been elected as a candidate of the Progressive Party, but left the party to sit as an independent. In 2012, Guðmundur formed Bright Future with the Best Party, with which it shares initials in Icelandic, “BF”. The party was formed to contest the April 2013 parliamentary election. The party won six seats, making it the fifth largest in parliament, but has since dropped significantly in opinion polls. The party supports Iceland joining the European Union and adopting the euro currency. Current chairman of the party is Sigurður Ingi Jóhannsson who was elected on 2 October 2016. His predecessor was Sigmundur Davíð Gunnlaugsson, who was elected on 18 January 2009 and was Prime Minister of Iceland from 23 May 2013 to 5 April 2016 following the 2013 parliamentary election: His predecessor was Valgerður Sverrisdóttir, who only served as chairman for two months. Her predecessor, Guðni Ágústsson, who, as a vice-chairman became chairman when the previous chairman, Jón Sigurðsson, resigned after the Progressive Party suffered great losses in the 2007 election. Jón’s predecessor as party leader was Halldór Ásgrímsson, chairman 1994 to 2006. Halldór served as Prime Minister from 2004 to 2006.The Progressive Party (Icelandic: Framsóknarflokkurinn, FSF) is a centre-right liberal and agrarian political party in Iceland. The party has been a member of the Liberal International since 1983. The Progressive Party was founded to represent Iceland’s farmer class, which went from being dominant from settlement to the late 19th century to rapidly dwindling in the early 20th century as a result of industrialization and urbanization. Its primary support still comes from the rural areas of Iceland and its policy roots still stem from its origin as an agrarian party, although it has since come to self-identify as a liberal party, though this is disputed outside of the party. It was founded in 1916 as a merger of two agrarian parties, the Farmers’ Party (Bændaflokkur) and the Independent Farmers(Óháðir bændur). In 1956 the party almost agreed to an aborted merger with the Social Democratic Party. Throughout Iceland’s history as a self-governing and independent nation, the Progressive Party has most often been the second largest political party in the country. It has often joined government coalitions with either the Independence Party on the centre-right, or with centre-left parties. The party was a coalition partner to the Independence Party during the period 1995 to 2007. Following the 1971 parliamentary election, the Progressive Party formed a government with the People’s Alliance and Union of Liberals and Leftists, with Progressive Party chairman Ólafur Jóhannesson serving as Prime Minister. The 1974 parliamentary election led to a coalition government of the Independence Party and Progressive Party led by Geir Hallgrímsson. The 1978 parliamentary election returned Ólafur Jóhannesson to the role of Prime Minister, leading a coalition containing the Progressive Party, People’s Alliance and Social Democratic Party after two months of coalition negotiations. The snap 1979 parliamentary election caused by the withdrawal of the Social Democrats from government led to a new government being formed in February 1980 by the Independence Party of Prime Minister Gunnar Thoroddsen, Progressive Party and People’s Alliance. The 1983 parliamentary election resulted in Progressive Party leader Steingrímur Hermannsson becoming Prime Minister in coalition with the Independence Party. The 1987 parliamentary election in May saw a coalition being formed in July of that year led by Thorsteinn Pálsson of the Independence Party, with the Progressive Party and Social Democratic Party as junior partners. However, in September 1988, a new government was formed by the Progressive Party’s Steingrímur Hermannsson with the Social Democrats and People’s Alliance. Following the 1991 parliamentary election, the Progressive Party was in opposition, with the government being formed by Independence Party leader Davíð Oddsson. In the 1995 parliamentary election, Davíð Oddsson remained as Prime Minister, with the Progressive Party returning to government as junior coalition partner to the Independence Party, a coalition which continued after the 1999 election. In the 2003 parliamentary election, the Progressive Party received 17.2% of the vote and 12 seats in the Althing. On 15 September 2004, Halldór Ásgrímsson of the Progressive Party took over as Prime Minister from Davíð Oddsson. Halldór Ásgrímsson announced his intention to resign on 5 June 2006 following the party’s poor results in the 2006 municipal elections. The coalition remained allied with the Independence Party chairman, Geir H. Haarde, as Prime Minister. The Progressive Party leader Jón Sigurðsson was Minister of Industry and Commerce, until a coalition of the Independence Party and the Social Democratic Alliance took over after the elections in 2007. In the 2007 parliamentary election, the party dropped five seats to hold only seven seats, down from twelve. The coalition only held a one-seat majority in the Althing, and the Independence Party formed a coalition government with the Social Democratic Alliance with the deal being signed on 22 May, returning the Progressive Party to the opposition. When a centre-left minority government was formed in February 2009, in the wake of the 2008–2012 Icelandic financial crisis, the Progressive Party agreed to defend it from a no-confidence vote, but did not form part of the governing coalition. In January 2009, it decided to change its party line on joining the European Union (EU) from being opposed to being in favour of EU accession, but with very strong caveats. In retrospect of how these caveats are likely to be considered, the party has since changed its policy to one of firm opposition to EU membership, leaving the Social Democratic Allianceand Bright Future as the main Icelandic parties in favour of Icelandic EU membership. In the 2009 parliamentary election, the Progressive Party fared somewhat better, securing 14.8% of the vote, and increasing its number of seats from seven to nine. It remained in opposition, however, with a centre-left coalition of the Social Democratic Alliance and the Left-Green Movement continuing to govern with an increased majority. In the 2013 parliamentary election, the Progressive Party reached second place nationally, winning 24.4% of the vote and 19 seats. Following the election, a centre-right coalition government was formed between the Progressive Party and Independence Party, Sigmundur Davíð Gunnlaugsson of the Progressive Party appointed as Prime Minister. 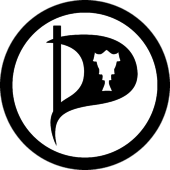 The Pirate Party (Icelandic: Píratar) is a political party in Iceland. The party’s platform is based on pirate politics and direct democracy. The party was cofounded on 24 November 2012 by Birgitta Jónsdóttir(previously a member of the Movement), and several prominent Internet activists, including Smári McCarthy. The party successfully applied for the ballot list letter Þ (resembling the party’s logo) in order to run in the 2013. In July 2016 the party requested and was issued the letter P for future elections. In their first electoral participation, at the 2013 parliamentary election, the Pirate Party won 5.1% of the votes, just above the 5% threshold required to win representation in the Althing. The three members elected, Birgitta Jónsdóttir, Helgi Hrafn Gunnarsson and Jón Þór Ólafsson, were the first pirates elected to any national legislature in the world. Following the Charlie Hebdo shooting on 7 January 2015, the Pirate Party began a campaign to repeal Iceland’s blasphemy laws. The laws, which had been introduced in 1940, were successfully repealed in early July 2015. The repeal, introduced by the Pirate Party, read: “Freedom of expression is one of the cornerstones of democracy. It is fundamental to a free society that people should be able to express themselves without fear of punishment, whether from the authorities or from other people.” During the vote on the repeal, the three Pirate Party members of the Althing stood and declared “Je suis Charlie“, in solidarity with the French satirical magazine. For around a year from April 2015 to April 2016, the party consistently topped polling for the next Icelandic parliamentary election in 2016, with support roughly equal to the Independence Party and the Progressive Party combined, who are currently partners in a coalition government. An MMR opinion poll published in January 2016 put their public support at 37.8%, significantly above that of all other Icelandic political parties. In April 2016 public protests about the Prime Minister’s role in the Panama Papers brought out a significant percentage of the whole population, and may have been among “the largest demonstrations of any kind, in any country, ever (proportionately speaking)”. In the wake of the Panama Papers scandal, polls in April 2016 showed the Pirate Party at 43% and the Independence Party at 21.6%. A poll by the Social Science Research Institute of the University of Iceland with data from 14–19 October 2016 put the Pirate Party in first place in the general election on the 29th of October 2016 with 22.6% of the vote. Iceland must never become a member of the European Union unless the membership agreement is put to a referendum after having been presented to the nation in an impartial manner. Should Iceland join the European Union, the country shall be a single constituency in elections to the European Parliament. Should Iceland join the European Union, Icelandic shall be one of its official languages. If negotiations on the accession of Iceland to the European Union halt, or membership is rejected by either party, a review of the agreement on the European Economic Area must be sought, to better ensure Iceland’s self-determination. It is unacceptable that Iceland need to take up large part of European legislation through a business agreement without getting representatives or audience. The conditions of Pirates for Iceland’s membership to the European Union are that Iceland be exempt from adopting the Data Retention Directive (2006/24/EC – declared invalid by the European Court of Justice in April 2014) and the regulation regarding enforcement of uncontested claims (1869/2005/EC), which would otherwise defy fundamental human rights. On 4 July 2013, a bill was introduced in parliament that would, if passed, immediately grant Edward Snowden Icelandic citizenship. The proposer of the bill was Helgi Hrafn Gunnarsson (Pirate Party) and it was co-sponsored by the other Pirate Party parliament members, Ögmundur Jónasson (Left-Green Movement), Páll Valur Björnsson (Bright Future) and Helgi Hjörvar (Social Democratic Alliance). A vote was taken to determine whether the bill would be put on parliament’s agenda but it did not receive enough support. The elected representatives are Birgitta Jónsdóttir (Southwest), Ásta Helgadóttir (Reykjavik South) and Helgi Hrafn Gunnarsson (Reykjavik North). Ásta replaced Jón Þór Ólafsson part-way through his term. The elected representative is Halldór Auðar Svansson.